France’s financial support goes beyond the French government’s November 2016 decision to support labeling products produced in the settlements and instead supports the boycott of such products. The French government (Agence Française de Développement, AFD) provided the Platform of French NGOs for Palestine with €46,560 in 2009, €199,000 from 2011-2014, and €225,000 from 2014-2017. The Council of Île de France Region provided the Platform with €62,000 in 2013, €22,000 in 2014, and €20,000 in 2015. Claude Léostic, President of The Platform, was denied entry to Israel, and compared Israel to Nazi Germany: “…The people of France resisted the Nazi barbarians… But you have been suffering for more than 40 years, as incredible as it seems in this modern world, and that came after the Nakba…”According to NGO Monitor, “40% (€225,000) of The Platform’s 2014 project “Mieux agir pour le respect du droit en Palestine” (Improved Action for the Respect of Rights in Palestine) was funded by the French government (AFD). This project was partnered with Ittijah. In 2010, the head of Ittijah, Amir Makhoul, was sentenced to nine years in prison for spying for Hezbollah during the 2006 Lebanon war. The Platform of French NGOs for Palestine and Ittijah were also partners on a project supported by the French government (€43,560 from AFD) in 2009, while Makhoul was still the head of the organization. Catholic organizations are also extremely active members of the Platform of French NGOs for Palestine and open supporters of boycott, divestment and sanctions (BDS). Among these Catholic organizations are: Secours Catholique-Caritas France (SCCF); La Cimade; Pax Christi France; Comité Catholique contre la Faim et pour le Développement–Terre Solidaire (CCFD).These Catholic organizations are heavily subsidized by French government and distributes grants to various anti-Israeli NGOs. The Israeli Alternative Information Center (AIC), for example, received €14,950 in 2013 from the Commission nationale consultative des droits de l’homme (National Consultative Commission for Human Rights). The AIC also received also €19,970 in 2013, €4,975 in 2015, €12,960 in 2016 via CCFD-Terre Solidaire. The FIDH, an international human rights organization with a budget of €6.6 million in 2015, is supported financially by the French government and other EU governments. FIDH also openly supports BDS campaigns. Its secretary general, Shawan Jabarin, elected in August 2016, is also the General Director of Al Haq, a Palestinian organization extremely active in anti-Israel lawfare and the BDS movement.Jabarin has been denied entry and exit visas for Israel and Jordan on several occasions due to his alleged ties to the Popular Front for the Liberation of Palestine (PFLP) terrorist group. France, while its Ministry of Foreign Affairs is officially claiming the necessity of peace and secure borders for Israel, is discreetly financing organizations and NGOs openly hostile to Israel. 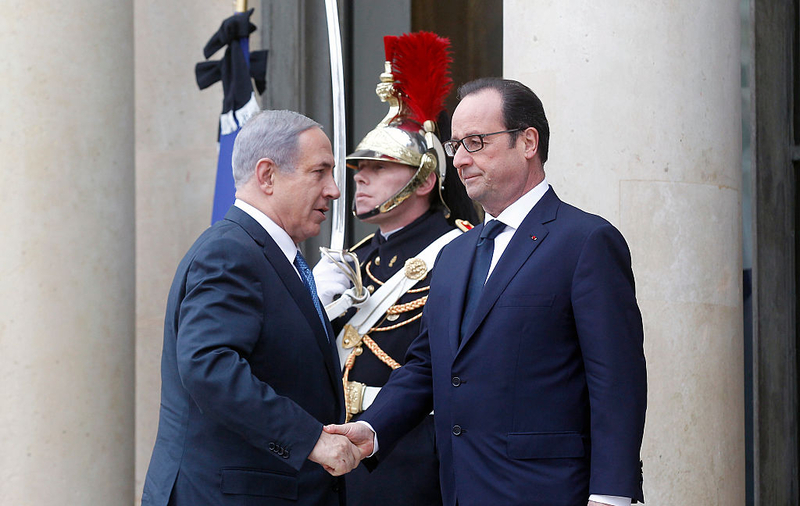 NGO Monitor’s meticulous report reveals that France is no friend of Israel but more and more of a prime mover in the war against Israel to delegitimize it. The masks already fell when French government supported the shameful UNESCO resolution to deny any tie between Jews and Jerusalem and the more than shameful UNESCO resolution saying that Western Wall of the Jerusalem’s Second Temple, destroyed by the Romans in 70 CE was “occupied territory.” Now it is clear, France is at war with the Jewish state.